What went wrong for India in the first Test against South Africa? Harish Kotian has the answers. After every crushing defeat, it is easy to sit and lash out at the playing eleven, captain and coach. But in India's innings and 25 runs defeat to South Africa in the first Test at Centurion there were many factors involved. Getting bowled for a meagre 136 in the first innings, without doubt, would be the biggest reason. But, on closer inspection, you will find a trail of other causes responsible for the tame surrender by the world's top-ranked Test team. The tour to South Africa was always going to be the most important series for India in 2010, simply because the team had to prove that they are deserving holders of the No 1 tag. And to do that they had to be capable of beating the Proteas at home, an achievement few countries can boast of. But the Board of Control for Cricket in India did not think on the same lines. A tight home schedule, which is mostly the top grosser of funds for the Board, meant that there was hardly any time to squeeze a warm-up match on the ongoing tour. The New Zealand ODI series, which was one of the most lopsided contests in recent times, was accorded more importance and ended days before the all-important tour of the Rainbow Nation commenced. Coach Gary Kirsten though was alert to the situation. The former South Africa batsman was well aware of what was in store for the team back home and had the senior players skipping the New Zealand One-Dayers so that they could reach South Africa a couple of weeks in advance. He got the players to train at his academy in Cape Town on wickets similar to those they would encounter during the Test series because he knew that adapting to the conditions was crucial. But there is no substitute for time out in the middle; a couple of practice matches would have definitely made the difference even though the Team India management may not admit it openly. Secondly, the selectors need to take majority of the blame for some weird selections. Rookie pacers Jaidev Unadkat and Umesh Yadav were picked out of nowhere ahead of the likes of the experienced Munaf Patel and Praveen Kumar. And when Zaheer Khan was ruled out of the first Test because of injury, the error in judgment stood out. Unadkat has played just nine first class games and enjoyed a good run for India 'A', but, as everyone saw, Test cricket is a completely a different cup of tea, and making your debut against the likes of Jacques Kallis, Graeme Smith and Hashim Amla is easier said than done. Even Umesh Yadav does not boast of a great record at domestic level. He was basically picked because he impressed a few with his pace during the Indian Premier League. The pacer represented India in just three ODIs but failed to impress, claiming just one wicket. If sources are to be believed, the 23-year-old was primarily taken to South Africa as a nets bowler because the Indian batsmen wanted to face some 'express' stuff in practice. These two decisions backfired big time when one of them had to replace Zaheer for the first Test and the result is out there for all to see. India will also be hoping that captain Mahendra Singh Dhoni's luck with the coin changes soon enough. In conditions like South Africa, the toss makes a huge difference, as witnessed at Centurion, where the wet weather before the start of the match and the damp wicket played a huge part. Dhoni admitted after the match that losing the toss was a huge difference to the outcome. "After they won the toss it was a job half done, but they had to bowl at the right areas and they did that," he said. Dhoni has now won just one toss in his last 11 Test matches, but most of those were in the subcontinent. In conditions like South Africa, the toss is vital and Dhoni will hope Lady Luck smiles on him for the rest of the tour, at least. One of big positives for India from their loss in the first Test was the manner in which the batsmen responded in the second innings. But, as witnessed, the damage was already done in the first innings and that is where India will need to be careful in the second Test. Virender Sehwag is known to tear bowling attacks apart, but on the lively wickets of South Africa he needs to be a bit responsible, especially in the first innings. 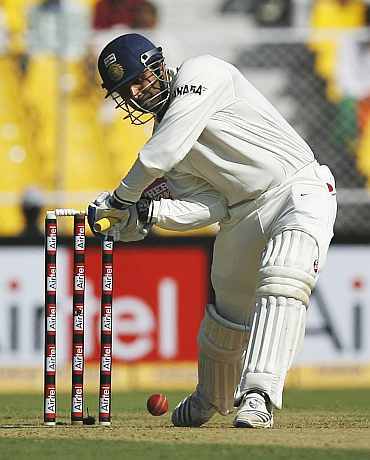 The reason why Sehwag has excelled as an opener and boasts of such an impressive record in Tests (7613 runs in 85 Tests @ 54.37) is because he adapts to the prevailing conditions well. We all remember him playing out the new ball in England in 2007 and Australia in 2008, when it was moving around quite a bit. So, if he can make necessary adjustments to his batting and just survive the initial overs, he sure can make a huge contribution to the outcome of the series; once he gets his eye, he is capable of playing the big match-winning innings. 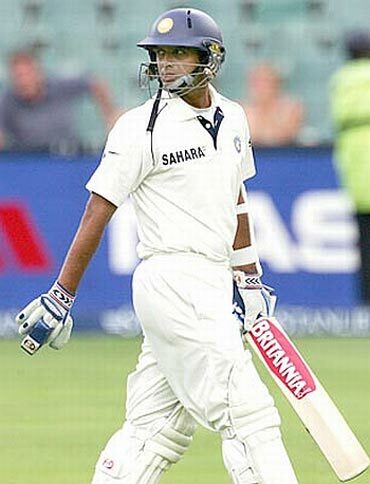 Rahul Dravid is the lynchpin of India's batting. If India are to bounce back in series, they will need 'The Wall' to convert his starts into meaningful knocks unlike what happened in the first Test, when he fell for 14 and 43 after having spent nearly four hours in sum at the wicket in the match. Suresh Raina will definitely be dropped for the next match, not only because of his recent run of poor scores, but his inability to come to grips with top class pace bowling. 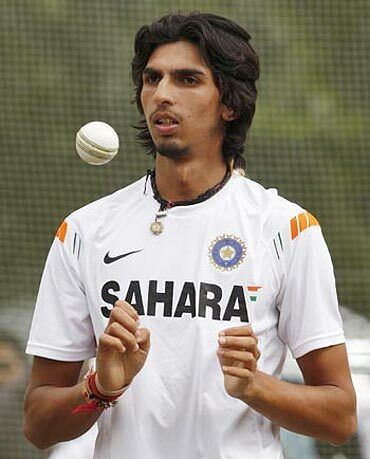 Cheteshwar Pujara should replace him in the next match. He certainly has the patience and determination to succeed in Test cricket. If that was a summation of India's batting, what can one say about the bowling? 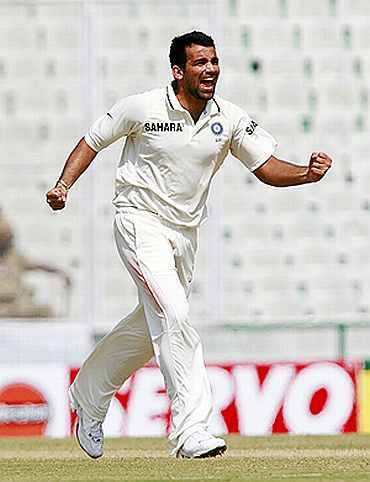 In the absence of strike bowler Zaheer Khan it was simply pedestrian. 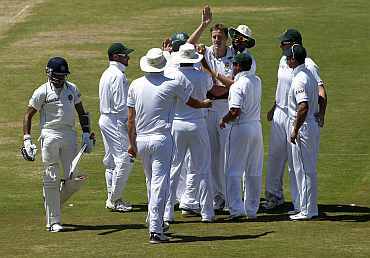 South Africa amassed a mammoth 620 for four declared in their first innings but the shocking part was that they scored at nearly five runs per over for most part of their innings. The hosts hit a total of 61 fours and 12 sixes, which means more than half of their runs came in the form of boundaries. 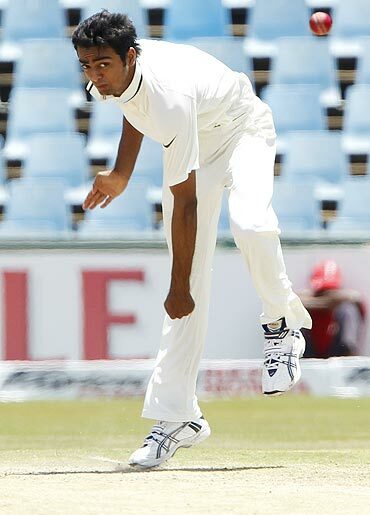 "Our bowling has to improve, and we are looking forward to have Zaheer back in the side. It is important to educate the bowlers and give them a road map for the next Test. 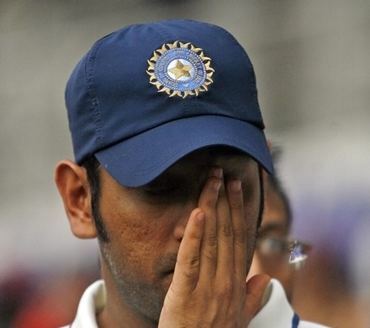 In the middle overs we were giving runs at more than five runs per over, that is not acceptable," moaned skipper Dhoni. Even if you take out the inexperienced Unadkat (101 runs in 26 overs), Sreesanth and Ishant Sharma, who have played 51 Tests between them, were hit for 97 runs and 102 runs respectively and mostly looked clueless on how to stop South Africa's rampaging batsmen. The next match will be played at Durban, where India have a horrible record. In their last match played exactly four years back there, they were outplayed by 174 runs. Before that they were thumped by 328 runs in December 1996. The first match that the teams played way back in November 1992 was a draw, and, interestingly, Sachin Tendulkar is the only survivor from that game. India have a lot to work upon to bounce back from the humiliating defeat at Centurion. They have the players and talent to fight back. Can they reverse the trend at Durban and reaffirm their status as the world's number one Test team?